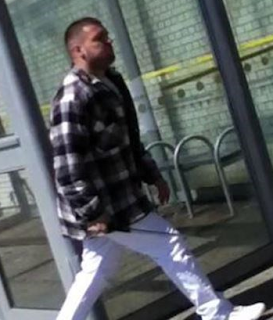 27-year-old Rustam Suleimanov has been charged with tossing a Molotov cocktail into a Vaughan bakery last June, one of more than a dozen violent incidents investigated by GTA organized crime police this summer. He is scheduled to appear in Newmarket court on Thursday to face charges of arson causing damage to property and break and enter. 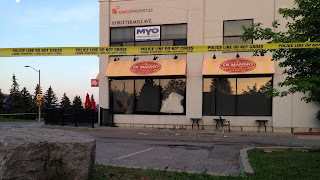 That same night, the front door of a home on Mellings Drive in Vaughan was fired upon. 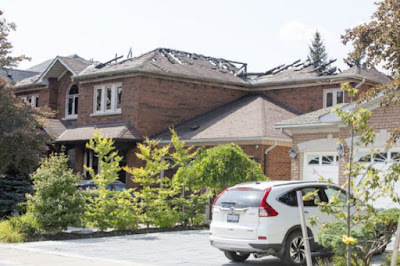 A house on Mellings Drive in Woodbridge, was hit by arson and gun attacks in August 2017. The Mellings Drive house belongs to Maria Arevalo and Giuseppe Cuntrera. Police are also investigating an arson at the home of Cuntrera's uncle. 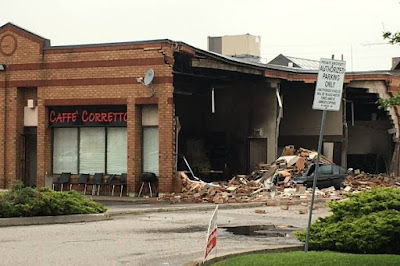 The Caffe Corretto in Vaughan was totally destroyed by an explosion in late June.